Broadway leading lady Barbara Walsh, who originated the role of Trina in the Broadway production of Falsettos in 1992 and played the acerbic Joanne in the 2007 revival of Company, comes to Orlando Sept. 10 and 11 to give a concert and present two master classes, for high-schoolers and adults, at Tim Evanicki’s Starving Artist Studios. Walsh, 56, has played a host of interesting roles, both on Broadway and in major regional theaters: Francesca in the first Broadway production of Nine; Mrs. Baskin, the main character’s mother, in the 1996 Broadway version of Big; Desirée in A Little Night Music at New Jersey’s Paper Mill Playhouse; Mother in the Chicago production of Ragtime; Edith Beale and Little Edie in Grey Gardens at Washington, D.C.’s Studio Theatre; Maria Callas in Master Class at Baltimore’s Center Stage. 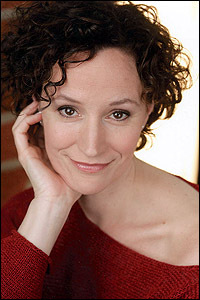 She is married to Jack Cummings III, artistic director of the New York theater company Transport Group, who also will give two master classes at Starving Artist Studios Sept. 10.